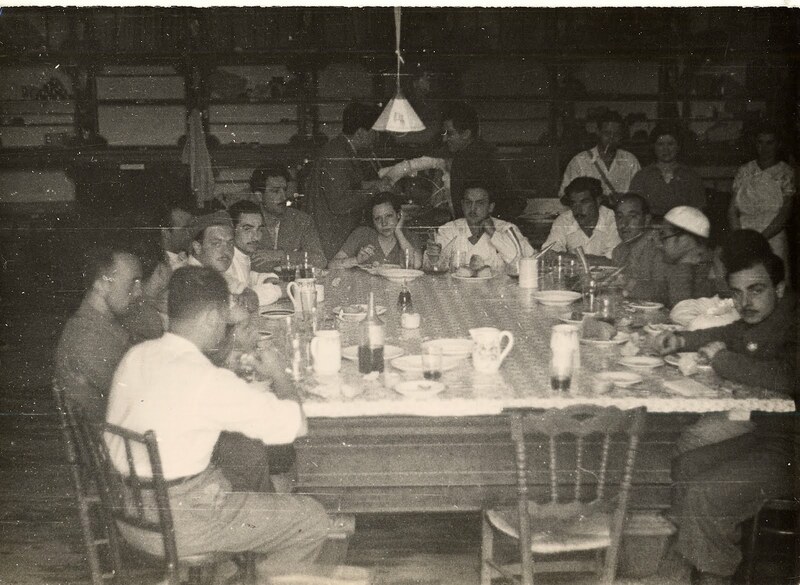 The Charles Korvin collection of Spanish Civil War photographs at Brandeis contains nearly 250 photo prints of scenes of war: bombed buildings, food lines, street scenes, funerals, wounded soldiers. The photos reveal the trials of wartime for the ordinary citizen as well as for the soldier. Charles Korvin—born Geza Karpathi in Piestany, Austria-Hungary, on November 21, 1907—attended the Sorbonne in Paris and remained there for ten years working as a still and motion picture photographer. Korvin emigrated to the United States in 1940, where he studied acting in the Barter Theater in Abingdon, Virginia. In 1943, he made his Broadway debut in the play “Dark Eyes,” under the name Geza Korvin. His work in this role caught the attention of Hollywood, and he became a contract player for Universal Studios. He assumed the name Charles Korvin and made his film debut in the movie Enter Arsene Lupin in 1945. After a contract dispute with Universal in 1947, he began working independently for various studios such as Columbia, Paramount, and Twentieth Century Fox. Around 1951, Korvin was blacklisted for refusing to cooperate with the House Committee on Un-American Activities and did not work in Hollywood for the next ten years. During this period, Korvin found work in television and appeared in numerous popular shows, including a recurring role as The Eagle in “Zorro” and in one episode of “The Honeymooners” as Carlos, the Latin dance instructor. His blacklisting in Hollywood ended in 1965 when Stanley Kramer asked him to be in his film Ship of Fools, along with Vivian Lee, Simon Signoret, and Lee Marvin. 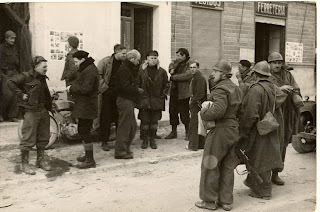 In 1937, Korvin directed the Spanish Civil War documentary Heart of Spain with Herbert Kline for the Canadian Broadcasting Corporation. 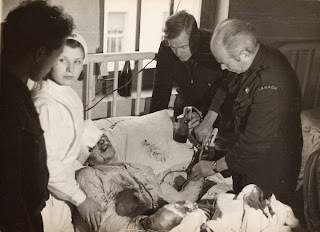 The film, which is loosely centered on a mother from Madrid and a young soldier, documents the work of Dr. Norman Bethune and his efforts to save wounded soldiers through blood transfusions. Despite having little experience as a cinematographer, Korvin had originally been hired as a cameraman by Dr. Bethune to film his work at the Hispo-Canadian Blood Transfusion Institute, which Bethune founded. Korvin approached Kline about writing a script for the documentary, which would explain Bethune’s practice of preserving blood with refrigeration and sodium citrate. Kline agreed, and both filmmakers stayed at Bethune’s hospital for several months filming, immersing themselves in his work and life in Spain. 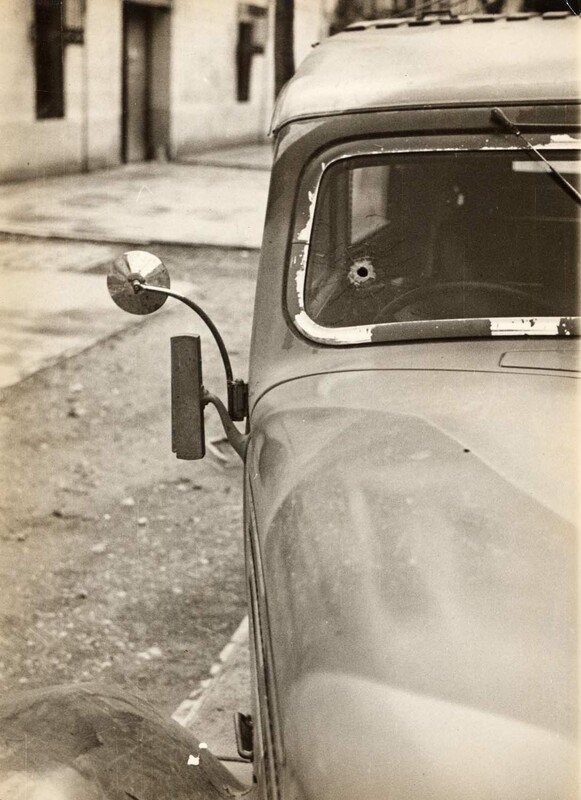 At one point, Korvin was wounded while taking photographs in Madrid, but his injuries were not serious. Some of the photos in the Korvin collection might be stills from Heart of Spain. 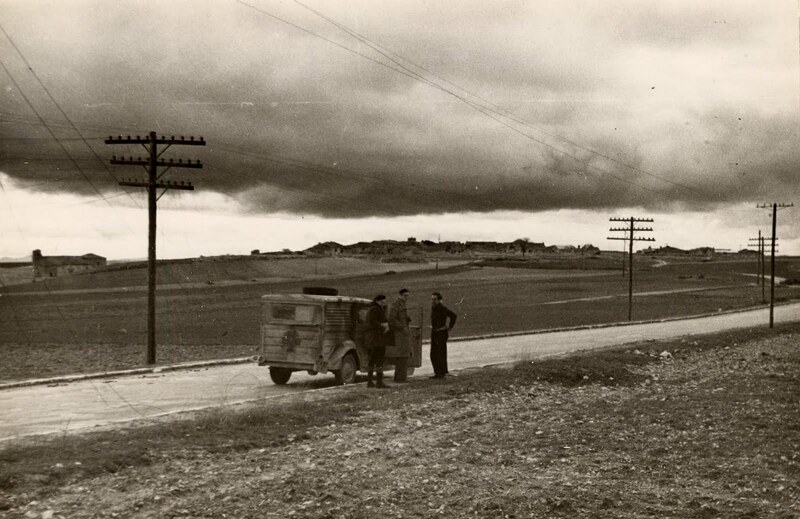 In addition to the photographs of Dr. Bethune and his transfusion work, many of the photos were taken in the region of Madrid, on the Jarama front [e.g., Box 1 Item 5: KO II-26 "Jarama front – fresh troops, circa 1937" ] and on other fronts, where most of the filming of Heart of Spaintook place. 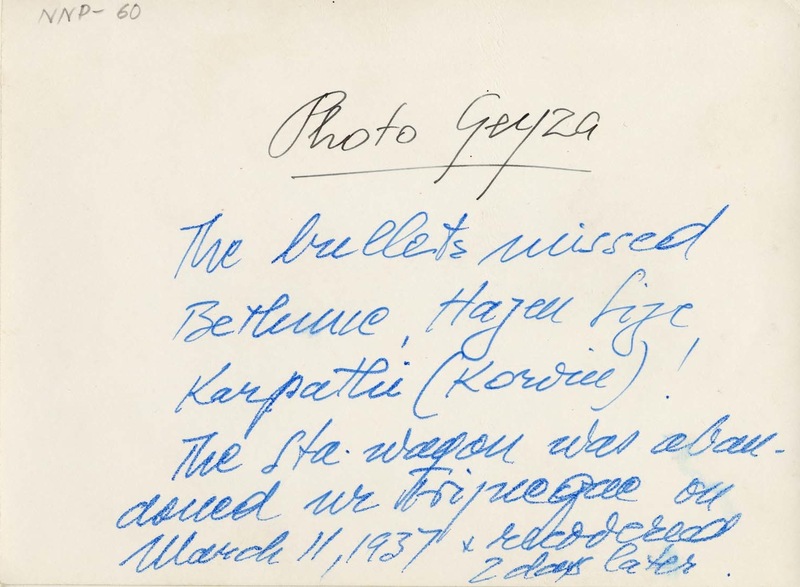 The photographs contain descriptions on the back, written in English and/or Spanish. 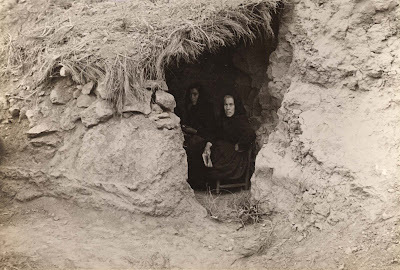 The Korvin collection was deposited at Brandeis in 1978, joining the university’s growing collections pertaining to the Spanish Civil War. The Korvin collection is now a part of the extensive holdings of Spanish Civil War material held by Brandeis, including more than 5,000 books and pamphlets pertaining to various aspects of the Spanish Civil War, the Spanish exiles, and the Franco regime, as well as literary works pertaining to the conflict. The collection also contains manuscript collections, scrapbooks, oral histories, videos, nearly 400 periodical titles, and more than 250 richly illustrated wall posters that were used for propaganda purposes. Campbell, Russell. Cinema Strikes Back: Radical Filmmaking in the United States, 1930-1942. Ann Arbor, Mich.: UMI Research Press, 1982. Print. "Charles Korvin, 90, Film Actor Who Played Cads." New York Times 1998: B8. Print. Robé, Christopher. 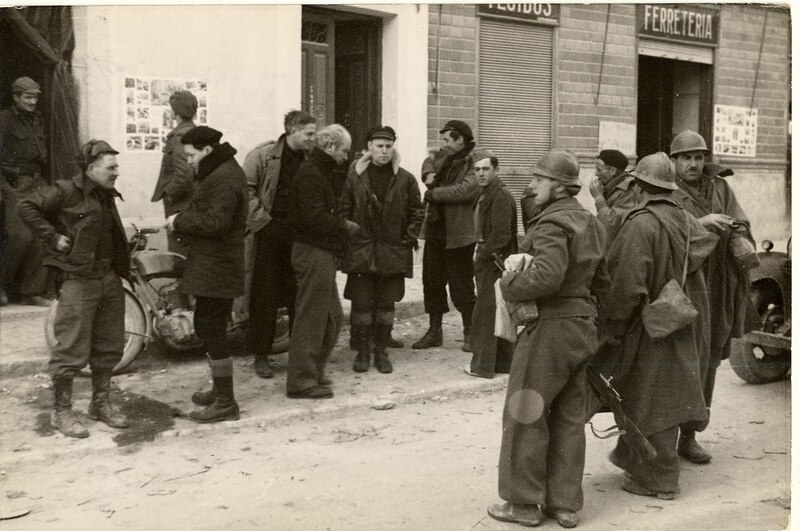 "The Good Fight: The Spanish Civil War and U.S. Left Film Criticism." Framework: The Journal of Cinema & Media 51.1 (2010): 79-107. Print.